Today BBDO hired Tara DeVeaux as chief marketing officer in its New York headquarters. Director of business development Crystal Rix has also been promoted to chief strategy officer, a newly created role at the Omnicom shop. According to BBDO, both announcements mark a new stage in an “ongoing transformation” that involves a greater focus on data, analytics and communications planning. DeVeaux will be BBDO’s first CMO since the departure of Simon Bond, who left in 2015 to become chief growth officer at Interpublic Group. This news also marks her return to the agency after three years serving as president of New York’s MING Utility and Entertainment Group; she previously worked in account management at BBDO from 2007 to 2014, leading its relationships with clients PepsiCo, HBO, National Geographic Channel and the American Red Cross. 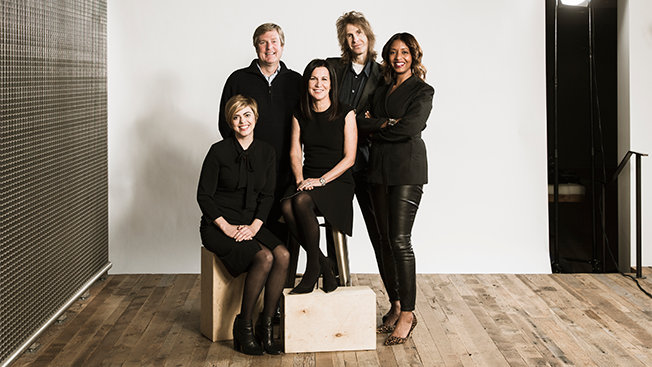 The aforementioned transformation began with the 2015 hire of Tina Allan, evp, director of data solutions, who focused on using Omnicom’s data and marketing sciences group Annalect to drive media planning and creative strategy for clients. Sharona Sankar-King later joined in the evp, head of marketing science role as a key member of Allan’s team. Rix started at BBDO 10 years ago as junior brand strategist. In her new role, she will report to president Kirsten Flanik and continue to guide strategy for AT&T, which consolidated its $2 billion media and creative accounts with Omnicom last year after acquiring DirecTV. The office’s senior management also includes evp, director of integrated production Dave Rolfe, head of communications planning Julian Cole and Denise Henry, director of HealthWork, its joint partnership with CDM Group.